Where did the week go? Insane how time flies. Last weekend I volunteered at an awesome charity event called The Corsage Project. 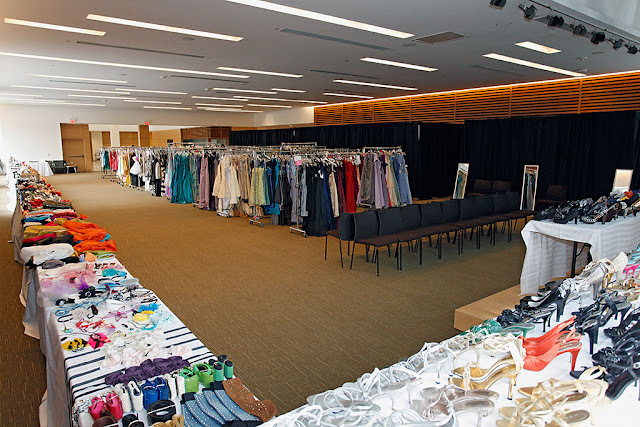 It was created 12 years ago to help young women in financial need attend their prom by providing them with a new dress, shoes, accessories, and a mini makeover – all free of charge. This was my favourite dress from FCUK. If I was going to prom, I would’ve picked this! Great project and I used to work with girls who cried when they saw how beautiful the dresses are. I love your blog by the way! Recently found you and now I am glued! I have this dress but in blush, its gorgeous! This is such a great idea and so nice to see people opening their closets for such a good cause, every girl should have a fun prom experience!